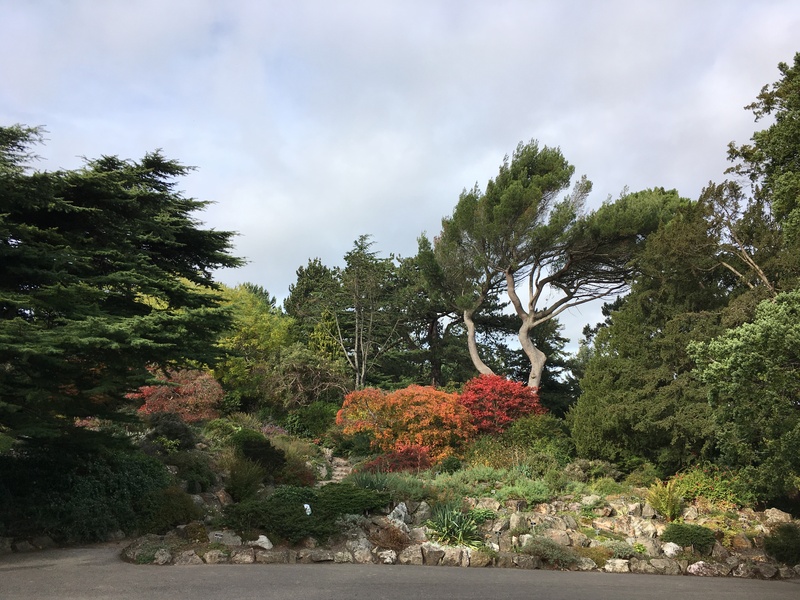 One of the biggest benefits of digital photography is the ability to take lots (thousands) of photos for essentially no money beyond the original purchase of the camera or phone. But while this is great, it can also be a pain to organize and back up those photos in a way that makes them easy to find. I have a pretty easy but efficient system for organizing and backing up my photos, so I thought I’d share how I do it. Of course, before you can sort, organize, and back up your photos, you first have to get them off your devices. I upload my photos from both my phone and camera at least once a month. If I’ve been taking a lot of photos or have been traveling, I’ll often upload them more than that. It only takes a few minutes usually, so I’ll plug my phone or camera into my computer while I’m doing something else. If I haven’t taken as many photos, I upload them at the end of every month. I upload them directly to Dropbox, which makes things really easy later on because Dropbox automatically gives the photos a file name with the date and time the photo was taken. This means all photos are organized chronologically in order even when my phone and camera photos are all bunched together, plus I can very easily see when each photo was taken! Because I upload my photos each month directly to Dropbox, the organizing step is actually very easy! At the beginning of each year, I create a folder in Dropbox with the year as the folder name. For example, this year’s folder name is “2019”. Inside that folder, I create 12 additional folders, one for each month of the year. These are labeled with the month. In order to keep them in the calendar order, each month name is preceded by the numerical for that month. So “1. January” for January or “9. September” for September. Once I’ve uploaded the photos to Dropbox, they can be found in the “Camera Uploads” folder on Dropbox. 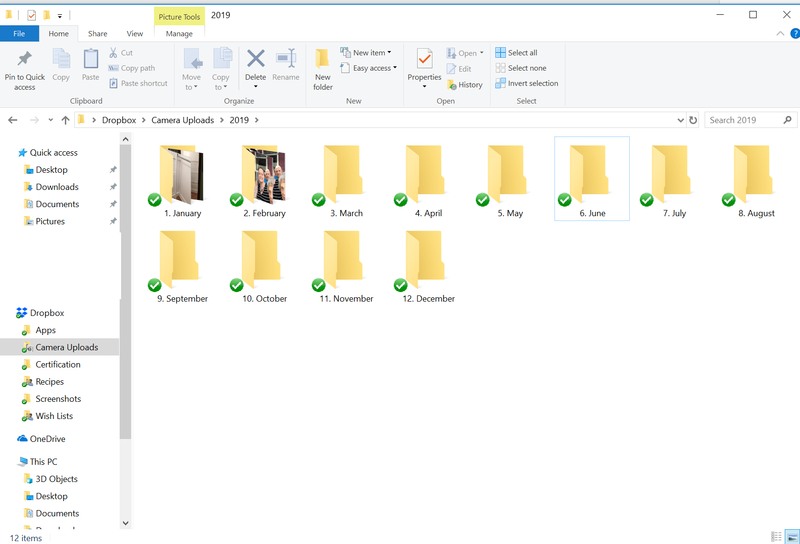 I just have to select them and drag them into the “2019” folder and then into the correct month folder. Since the file names are already by date, I’m all done! Exception: When I’m traveling, I often take thousands of photos and because I often make photo books or upload the photos to Facebook and my blog, I do create a separate folder for just the travel photos and place it either in the month folder or, if the trip spanned days in more than one month, in the year folder. For these, I label them with the destination(s) and year. For example, when I traveled to Scotland and Ireland this fall, I created a folder named “Scotland & Ireland 2018”. If you’re thinking that your Dropbox will fill up really quickly using this method, you’re right! That’s why I only leave the photos for the current and previous month in Dropbox. I don’t want to pay for extra storage, so I back up all my photos elsewhere (see next section). 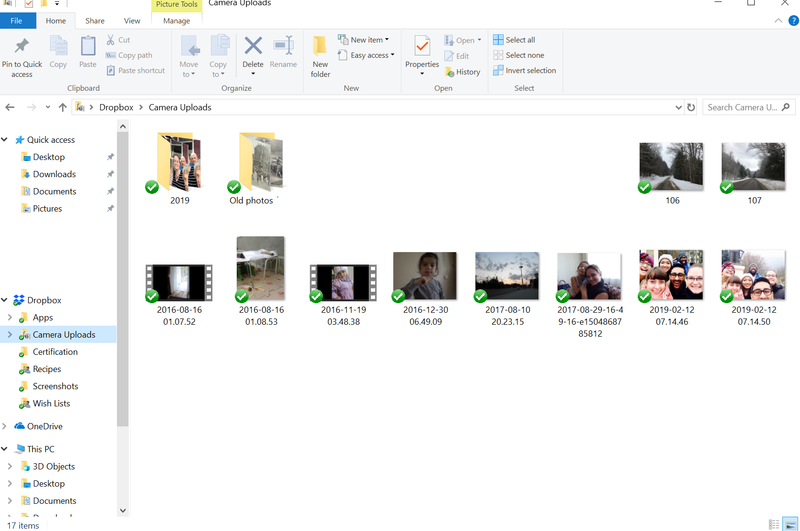 I create an additional “2019” folder in the “Pictures” folder on my computer. After I’ve backed the photos up, I simply drag the month’s folder to this other “2019” folder, where it will reside for all eternity. I back up my photos is two additional places. First, I upload all photos (I do usually go through them first and delete any blurry or mistake photos) to Google Photos at the end of each month. 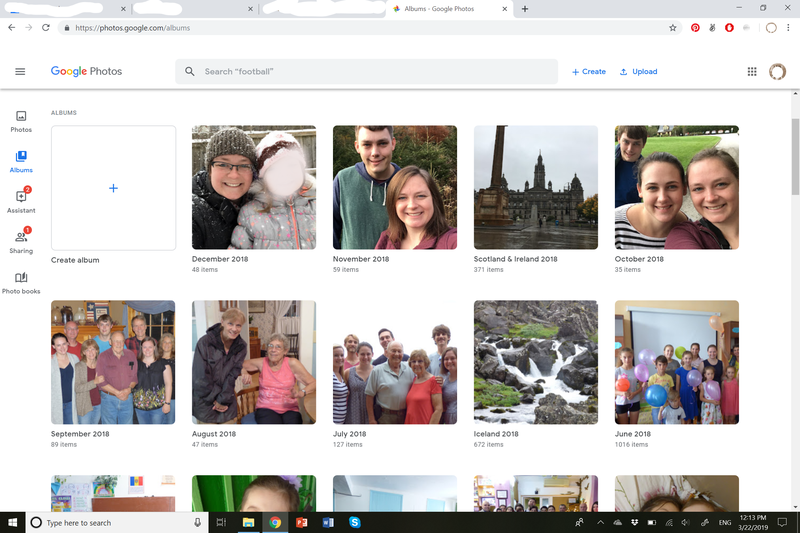 I simply select all of the photos from that month, upload them, then add them to a new album On Google Photos, I simply label the album with the month and year. For example, “January 2019”. I create a separate folder for any long trips (especially if I took a lot of photos) and label it with the destination(s) and year. I also back up my photos on an external hard-drive. I have one from Seagate that holds 1 terabyte. I create a folder with the year on my hard-drive, then at the end of each month, drag the month folder into this, which automatically copies it. Super simple! I’m sure we all say this most years, but wow! What a year 2018 has been! Before we leap into 2019, I thought I had better wrap up 2018 with some of my top memories from the past year (in years past I’ve limited myself to 20 or so, but there were so many great moments in the past year, this list is longer than usual!). Went cross-country skiing with my mom. Winter seems like such a better season when you actually get out and enjoy the snow and cold, and this is one of the best ways to do that! Made it home to my village just in time to celebrate Christmas with my host family. After a VERY long journey back to Moldova from the United States (I got stuck in JFK airport for 24 hours), I was so happy to celebrate Christmas with my host family and snuggle with my host nieces. My students coming to our house for caroling, uraturi, and seed-throwing. It was nice to see the various Moldovan traditions for both Christmas and New Year. Found out when my last day in Moldova would be. We had a COS (Close of Service) lottery with all of the volunteers in my group and selected the days we would finish our Peace Corps service. Visited Andrei with my partner teacher, Liuba. Andrei is a man from my village who suffers from health issues that leave him bed-ridden, but had been asking for some time to meet the “American girl”. We had a really nice visit. Got ambushed by some neighborhood kids (my students) in a snowball fight. I’ve determined Moldovan kids are ruthless when it comes to snowball fights! Celebrated English Week at school. This year, English Week was actually two weeks and combined with Russian Week. We held lots of competitions, played games, and organized fun activities with our students. At the end of the two weeks, we had a dance for the older students, which they always really enjoy. Attended my host cousin’s wedding. It was a simpler affair than my first Moldovan wedding, but this time I could actually speak Romanian and everyone had a lot of fun dancing the hora (Moldova’s traditional dance). Organized a week of activities for Peace Corps Week. We held a mini “International Film Festival”, skyped with an American class of 5th graders, and hosted several other Peace Corps Volunteers at an event about what home means to each of us. Successfully completed our “control” (audit) at school. Each year, the education officials come to the school and observe every teacher, class, and audit the records. It’s a stressful week, but I enjoyed working together with my partners on some really good lessons. On the last day of the audit, my partner teachers and I didn’t have any lessons, so we were responsible for cooking a meal for the auditors in the school cafeteria. Celebrated Easter with my host family. Easter is the most important holiday in the year for Moldovans, and I celebrated it with my host family. My host niece, Valerica, visited and we celebrated her birthday. I can’t believe the little 6-year-old that was my first friend when I moved to my village is now 8! We had lots of fun playing together and spending time together over the Easter break from school. Celebrated one of my partner teacher’s birthdays. I was so happy to go to my partner teacher’s birthday party. 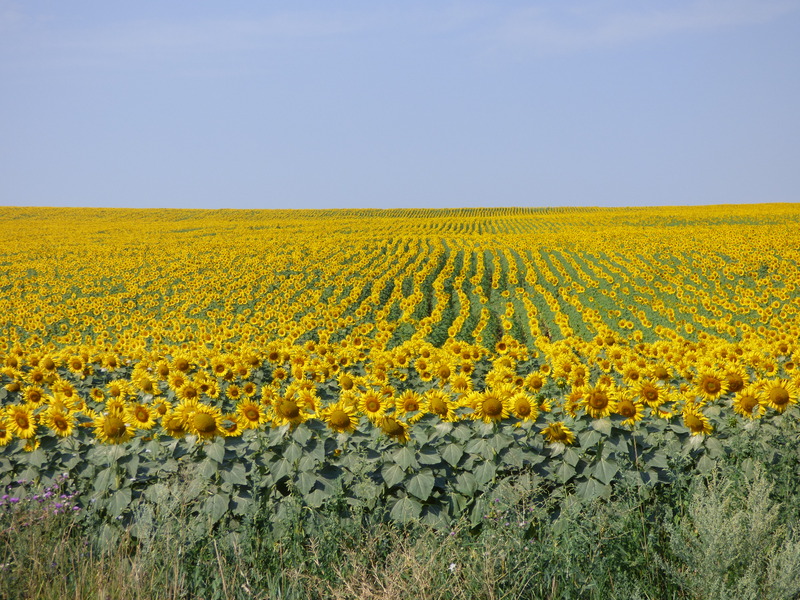 It was moments like these that I felt like I had found my place in Moldova and in my village. Attended our COS conference in central Moldova. 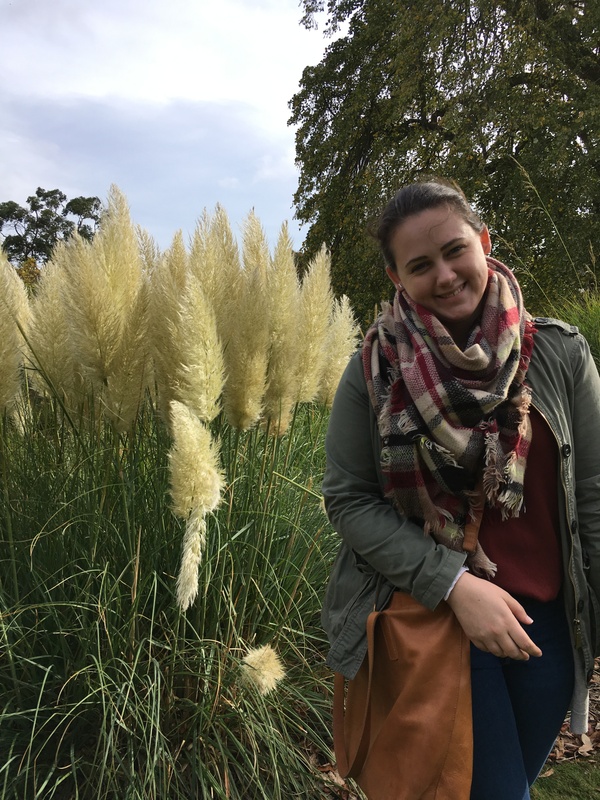 To help prepare us for closing out our service and returning home to the United States, Peace Corps held a 3-day conference for the group of volunteers I arrived in country with. We had a great time reminiscing and reflecting on our two years of service. Held an American meal at English Club. To thank my students for coming to English Club regularly for 2 years, my site mate and I prepared several American foods and had a small party with the regular participants. They especially loved the tacos (we had taco seasoning mailed to us from the U.S.) and mac and cheese! Attended the Peace Corps Moldova 25th anniversary celebration. My partner teachers and school director joined Peace Corps in the capital for a celebration of 25 years of work and service in Moldova. Went to my final Last Bell celebration at school and celebrated in the forest with my colleagues. I gave a short speech, received lots of flowers, poems, and letters, and said goodbye to many of my students on the last day of school. After lessons had ended, the teachers gathered for a barbecue in the forest, which lasted for several hours. Accompanied the dance ensemble from my village to an International Traditions Festival. I helped chaperone the students and afterwards, I enjoyed a meal with the other chaperones while the students had some free time to explore the festival. Had a farewell dinner with my fellow English Education volunteers. We all spent the first 10 weeks in Moldova living in the same town and completing our training together, and remained close throughout the two years. It was a bittersweet dinner, since for many of us it was also goodbye, but we had a good time and enjoyed each others’ company. Held two day camps in my village. My site mate and I held a week-long Leadership Camp for our older students, and I held a week-long English Camp for the younger students. Milked a cow! This was one of my goals while living in Moldova and just before I left, I was finally able to milk a cow at my host aunt’s house. Said goodbye at farewell parties both at school and with my host family. My colleagues, students, and partner teachers surprised me with a farewell party at the school, complete with some of my favorite foods, a gorgeous cake, and gifts. My host mom’s sisters and brothers came for a farewell party at home as well. Rang the COS bell, marking the end of my service in Moldova. I was proud to have made it all the way to the end, and excited to figure out what was next. Traveled to Iceland with my family! On my way home from Moldova, I met my parents and brother in Iceland for a week-long trip. 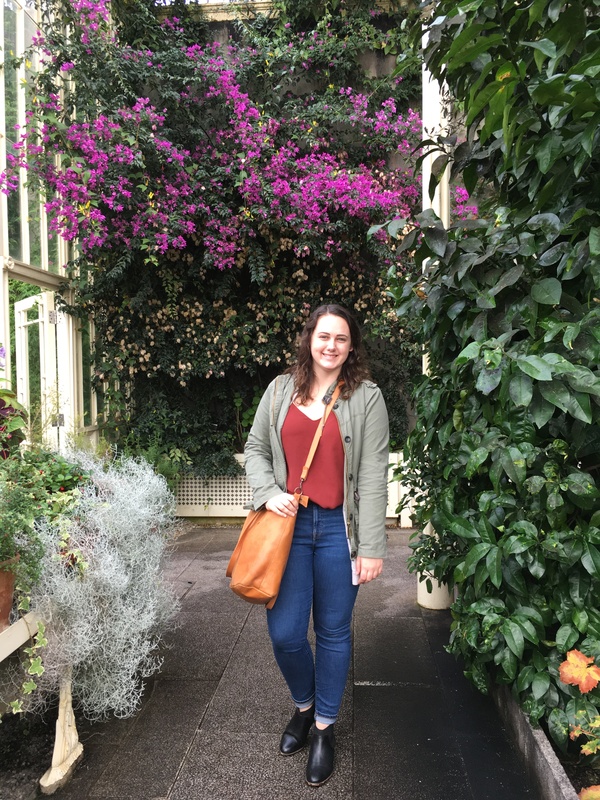 Some favorite highlights were swimming in a hot spring pool, visiting a greenhouse combined with a restaurant, and all of the beautiful sights we saw. Picked blueberries! Blueberries don’t grow in Moldova but are my absolute favorite food, so I was so happy to make it home in time for blueberry season! Spent lots of time with family. Cousins, aunts, and uncles visited this past summer and we spent a lot of time hanging out and soaking up this rare time together. The reason for their visits was bittersweet, as we were also saying goodbye to our Grandma Jeri, but I treasured the time spent with them and with Grandma Jeri. Went to my cousin’s wedding! My cousin got married and the whole family came for it. We had SO much fun celebrating her and her new husband! Went to Rochester to visit some friends and have a girls’ weekend. We hung out, went mini-golfing, and spent some time on a beach. Baked a crazy amount of recipes with pears. Our pear tree produced a ton of pears this year, so my brother, sister, and I made just about every possible recipe with pears: pear cider, pear sauce, pear pie, pear crisp, pear cake, baked pears, etc. It was fun to bake together with my siblings and everything was delicious! Went on an apple adventure with the family. We drove a couple of hours and visited an apple orchard known for its hard cider and wood-fired pizza then headed to another orchard to pick a bag of apples. Took a short trip to Vermont. 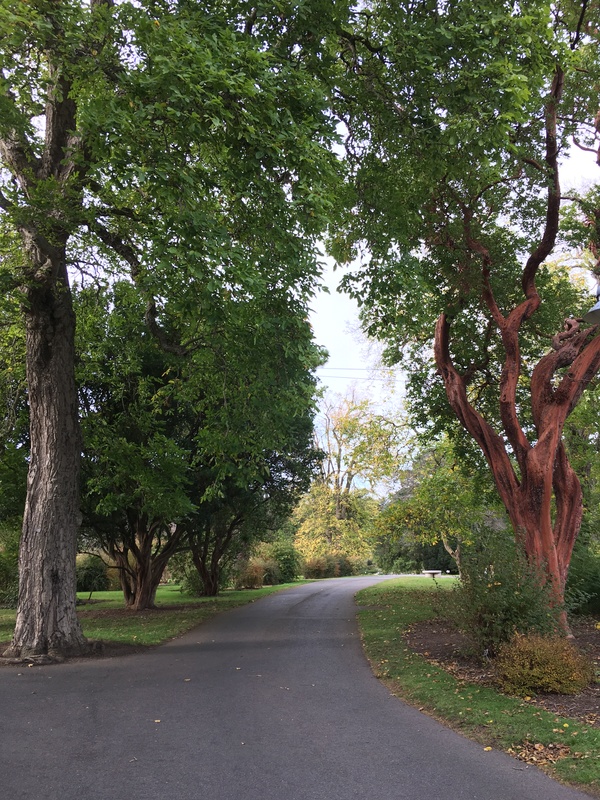 We spent a couple of days in Middlebury, Rutland, and Bennington. Traveled to Scotland and Ireland! It was my first ever solo trip, and I fell in love with Scotland and enjoyed spending time with my sister in Ireland. Helped out at the family’s Christmas Tree Farm. My parents took over my grandpa’s tree farm a couple of years ago, and I helped out each weekend for a few hours. Published an advent calendar of activities for our town together with my brother. We provided ideas for things to do at home or in our community for the 24 days leading up to Christmas. It was a success and we had fun doing the activities. Spent a quiet and simple Christmas Day at home. We had a lazy, slow morning of eating breakfast and opening presents, then some family came over in the afternoon for good food and conversation. We ended the night with my birthday cake and gifts, then after our guests left watched a funny movie. I could probably add more to this list, but that might be a little excessive. What were some of your favorite memories this year? Here’s to a happy, healthy, and fresh New Year! After my trip in Scotland, I flew to Ireland, where I would be meeting my sister the following day. 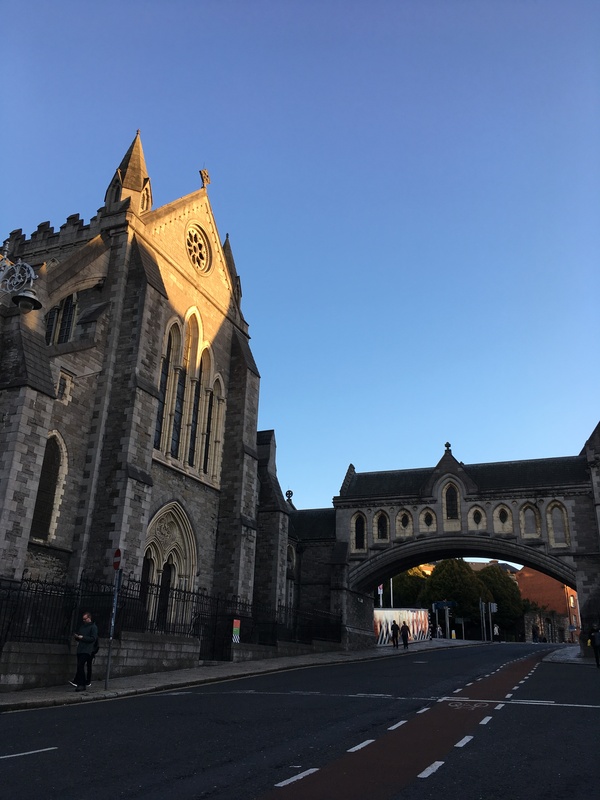 My sister was moving to Dublin, and I met her there to provide some support her first few days there when searching for an apartment and such. 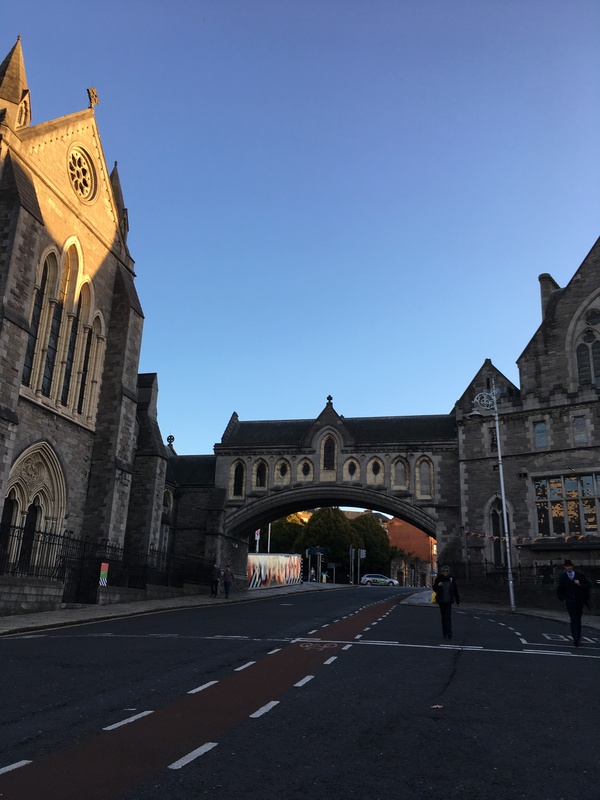 We also did a bit of sightseeing and walked around Dublin quite a bit. I arrived the night before, grabbed a bite to eat, and spent the evening at my Airbnb since I was pretty tired. The following morning, I met up with my sister at the hotel we had booked (they kindly let us store our luggage there until our room was ready). We grabbed brunch, then planned the rest of our day. 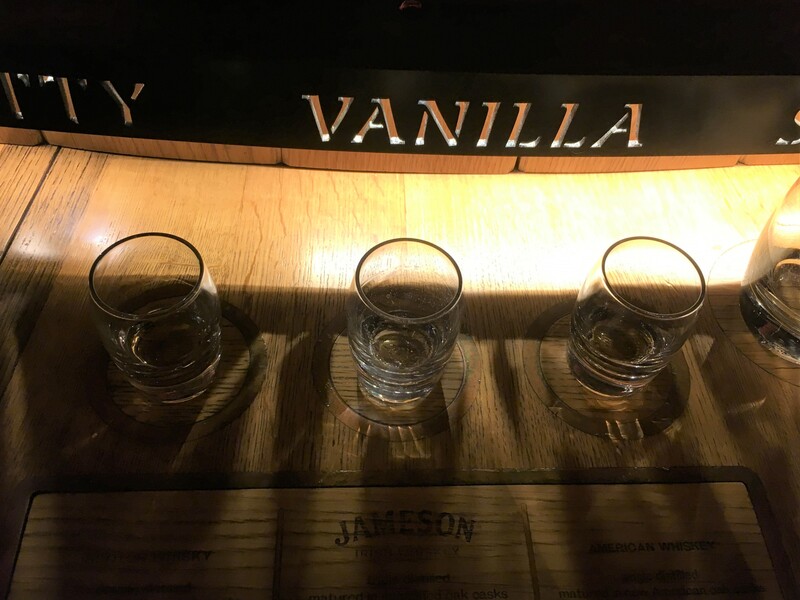 We had debated between visiting Guinness or Jameson, and ultimately settled on doing the Jameson Whiskey Bow Street Experience since we’re not really beer drinkers. The tour was very good and entertaining! 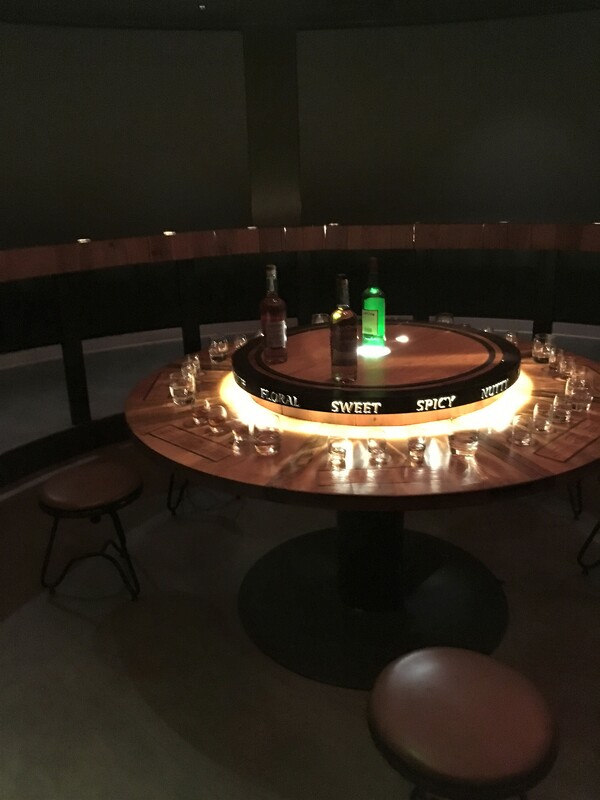 After the tour, you get a free drink, and while we were in the main bar area, we met a woman from Dubai. We talked quite a while and made arrangements to meet up with her the following day. 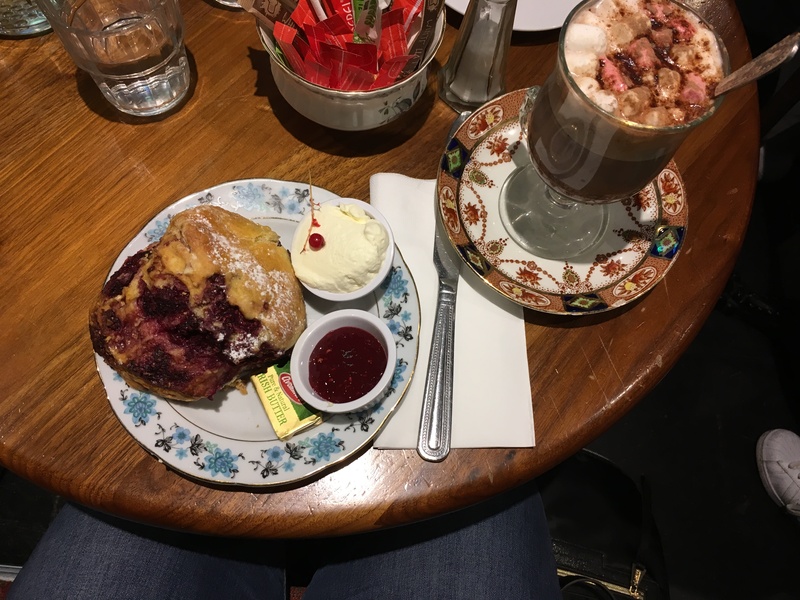 We stopped at a cafe and had scones and hot chocolate/coffee before meeting up with one of my sister’s friends in the evening. 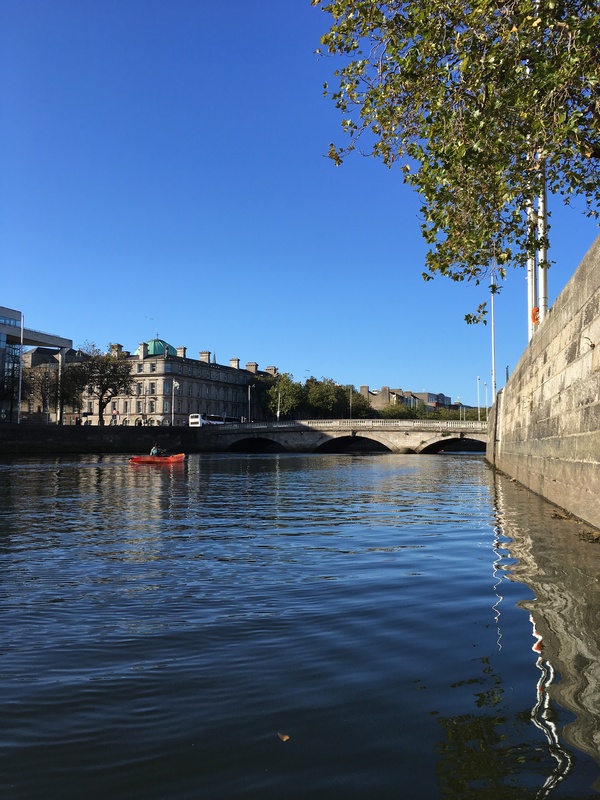 The following morning, we checked out an apartment bright and early, then headed to the Liffey River, where we had booked a kayak tour of Dublin. It ended up being just the two of us, a young man from Hawaii and our tour guide. The river’s current was a bit stronger than usual, so the tour guide dragged us up the river in spurts with his motorized boat. The good thing was that this meant we were able to go further up the river than usual. The guide gave us some information about the different sights from the river and some Irish history. 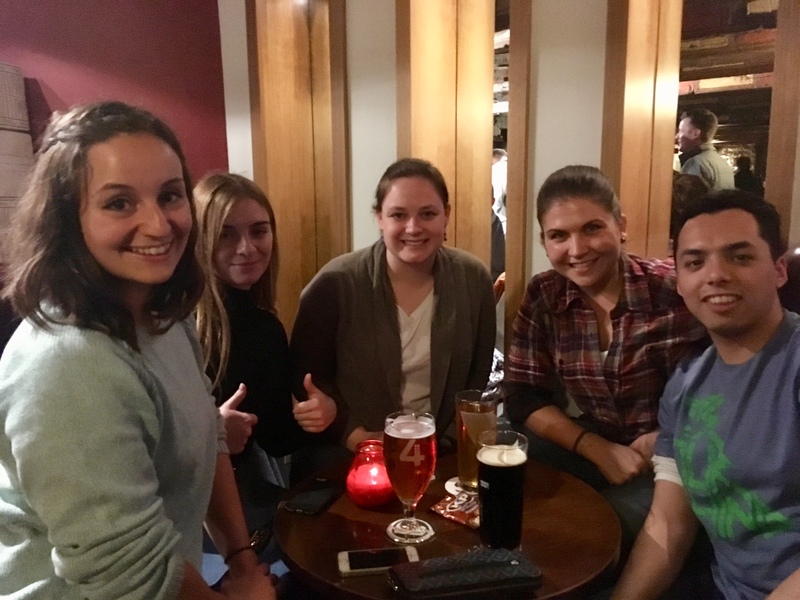 After our kayak tour, we grabbed lunch at a pub, then met up with our new friend from Dubai for a short walk through St. Stephen’s Green. 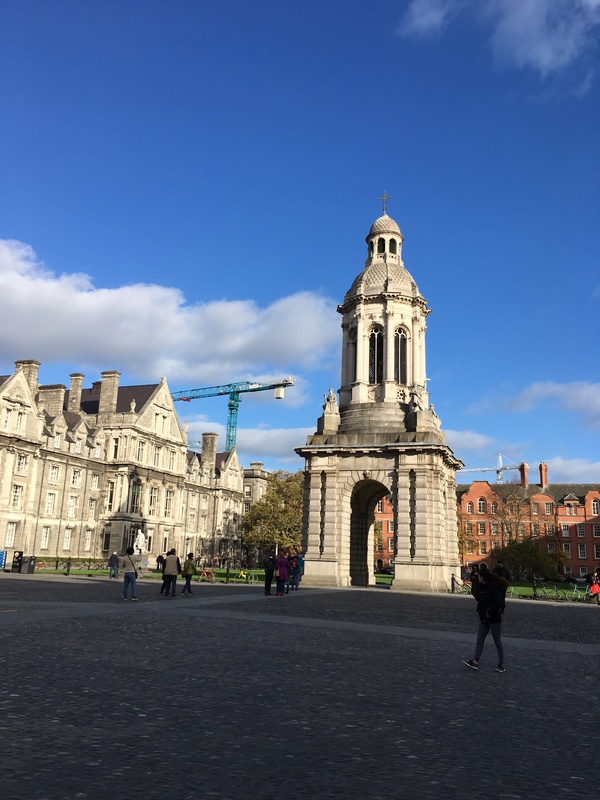 In the afternoon, we toured a co-working space for my sister (it was really cool), walked around Trinity College, and went window shopping in the city center. The following day was my last full day in Ireland. 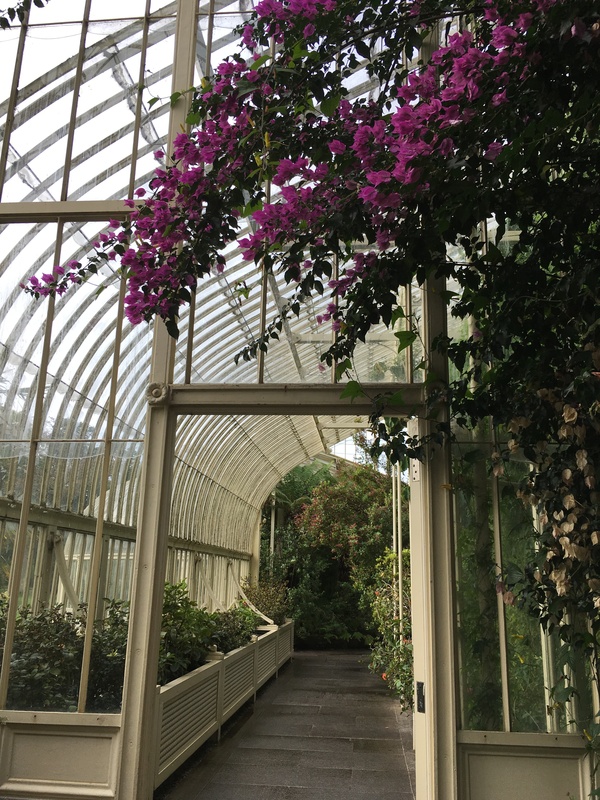 We went to a late brunch, then hopped on a bus to the National Botanic Garden. 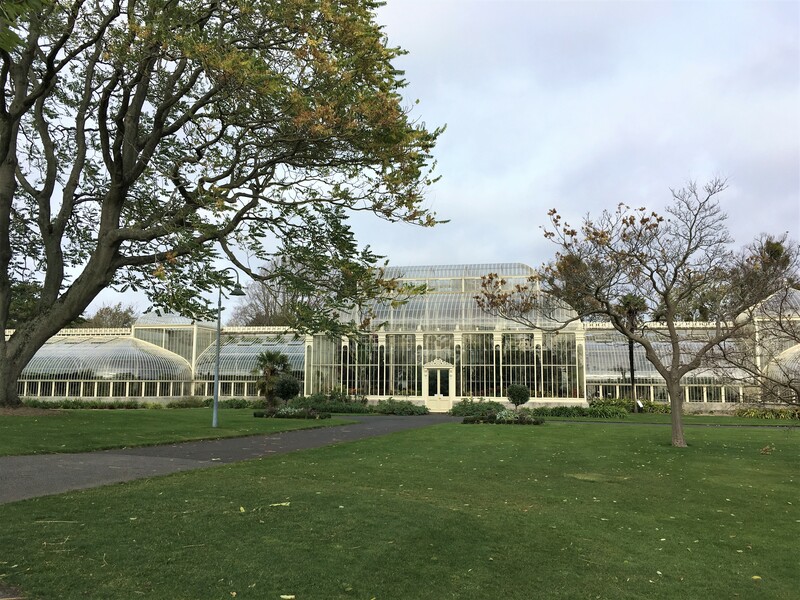 We spent a couple of hours there, walking around the greenhouses and grounds. 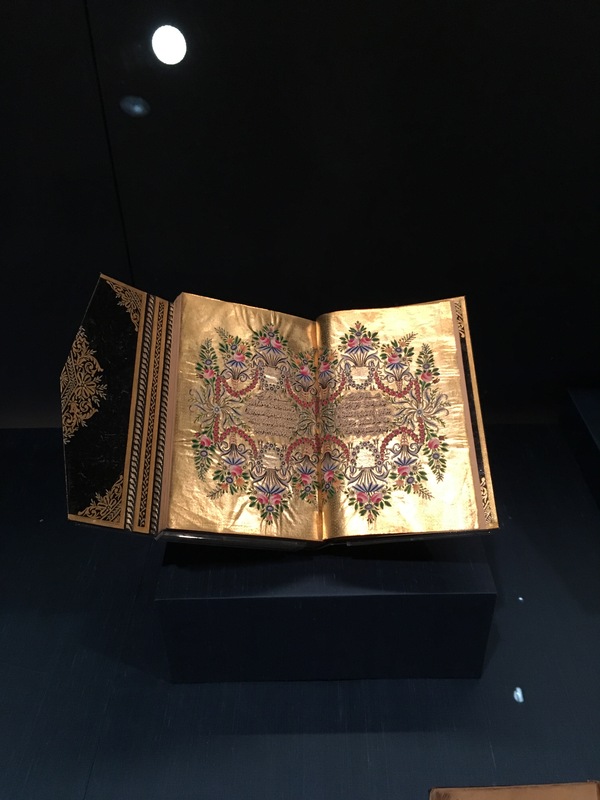 Later in the afternoon, we headed back to the city center and went to the Chester Beatty Library, which is more like a museum. 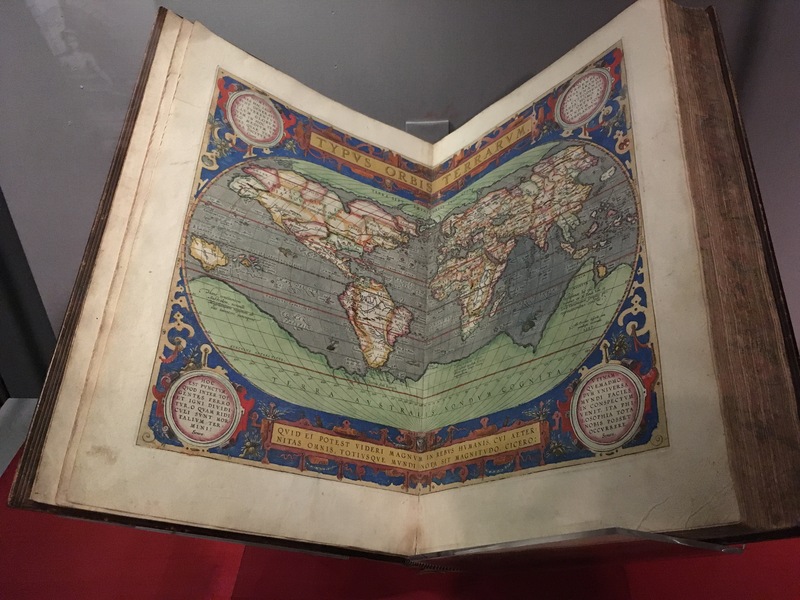 We saw some of the oldest maps that include all 7 continents as well as the some of the oldest known pages of the New Testament of the Bible (the handwritten pages are written on papyrus and the oldest dates to 150 AD). Photography was allowed in almost all areas of the museum, and there were so many cool things to see! We stayed until closing time and still didn’t get to see everything! The following morning, we grabbed a late breakfast, then I got a bus to the airport. 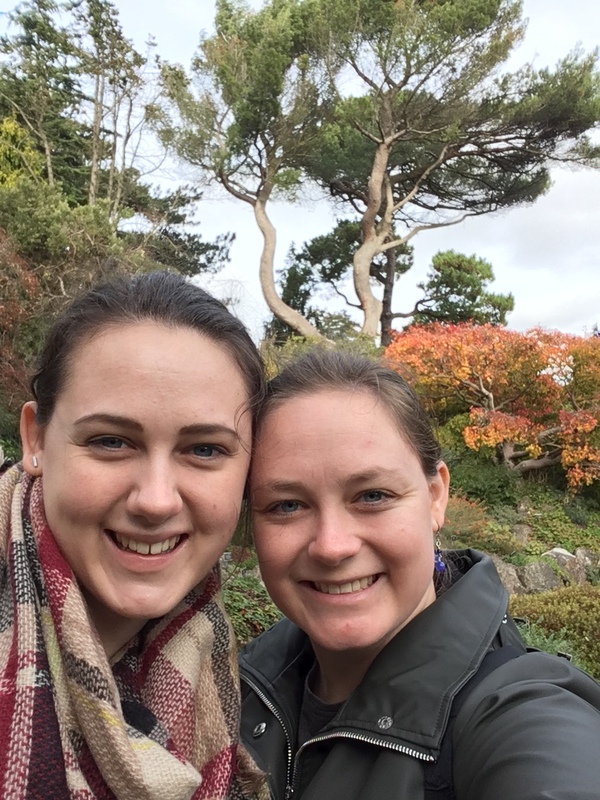 I definitely want to go back to Ireland sometime to see the rest of the country, but I was thankful for the time spent with my sister and exploring Dublin. Sorry for the radio (or blog) silence the past month. 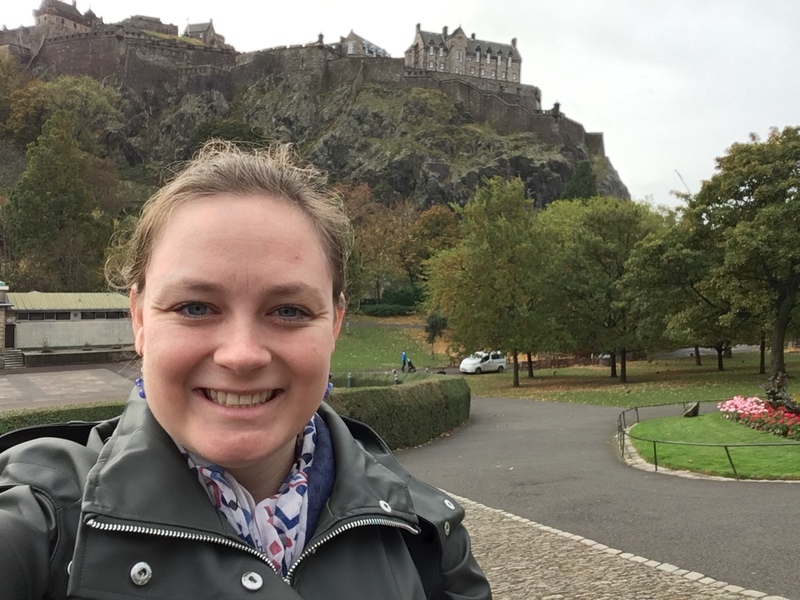 Life got busy, but I do have two more posts to share about my trip to Scotland and Ireland this past October. 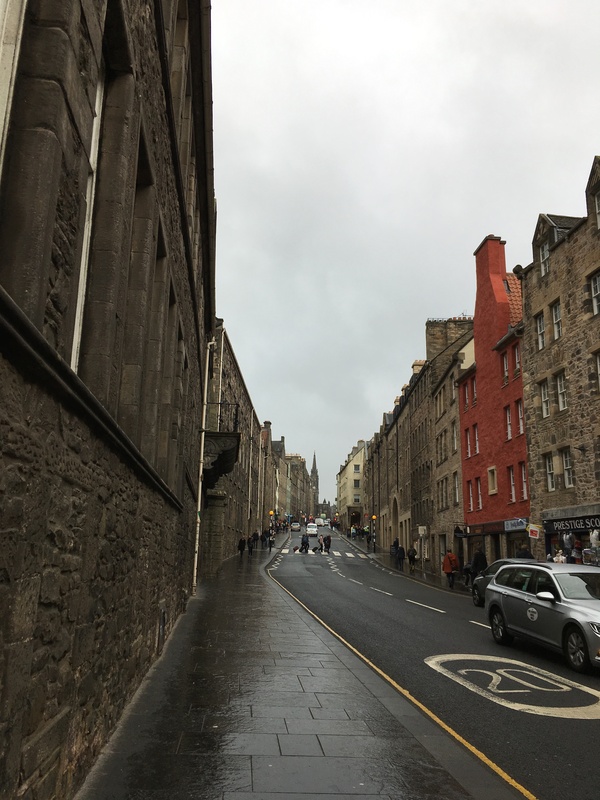 You may remember that during my trip, I used Edinburgh as a home base from where I took several day trips. 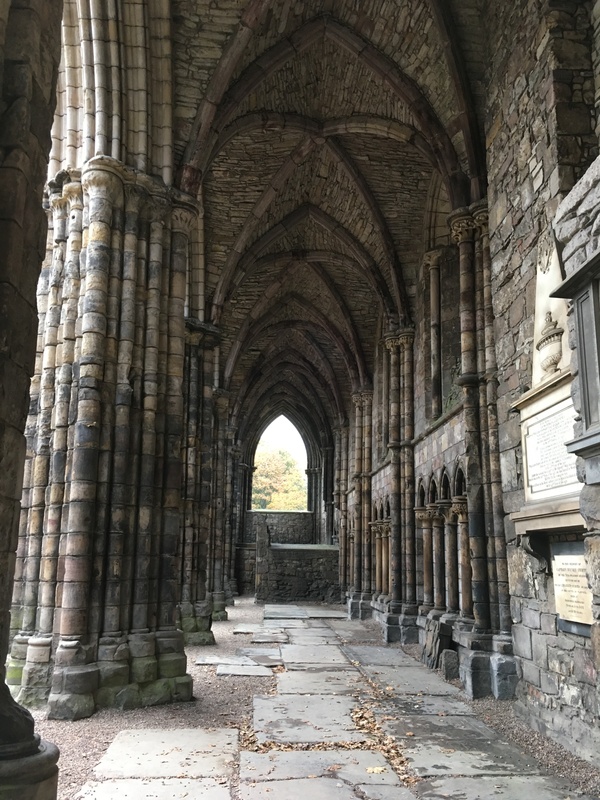 I also spent two full days (and another half day) exploring Edinburgh. I wrote about the first day here. 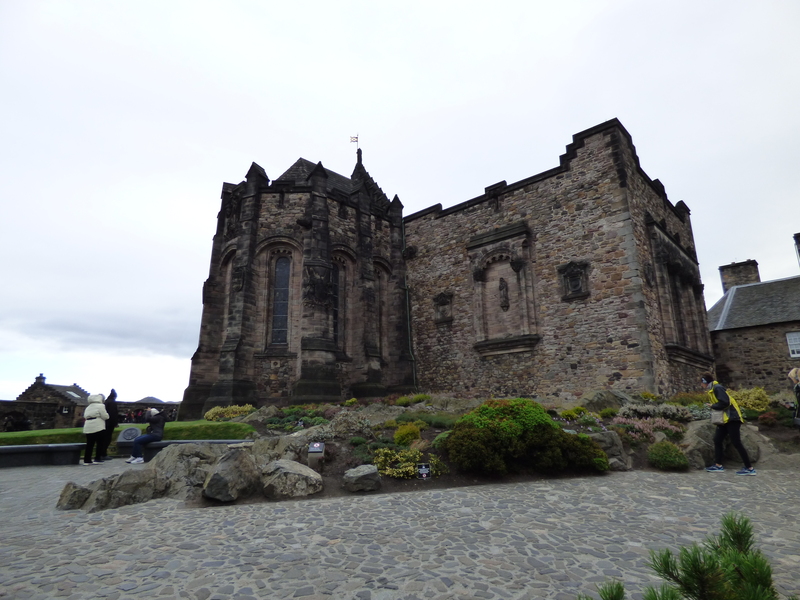 My last day in Scotland was likewise spent in Edinburgh. 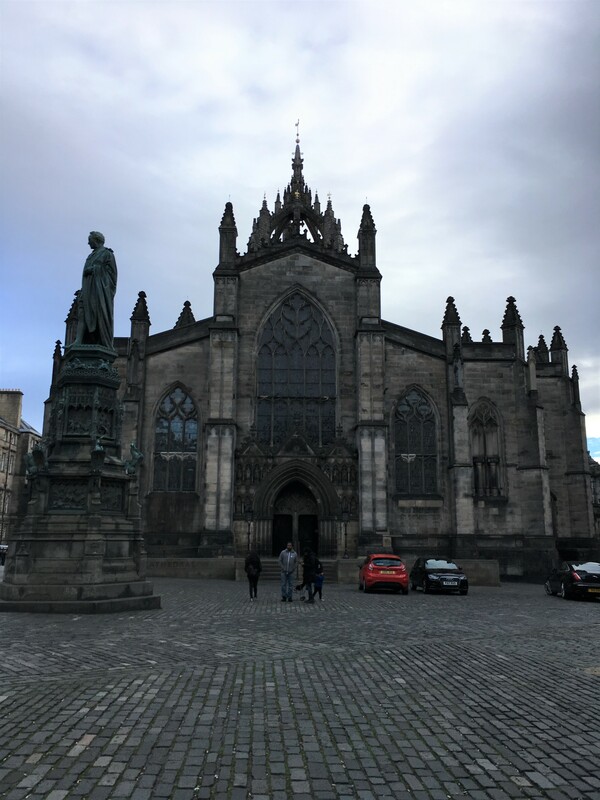 On my first full day in Edinburgh, I mostly just wandered around, but there were a few places I knew I wanted to visit, so on my last day, I tackled those places. I started off at Edinburgh Palace. 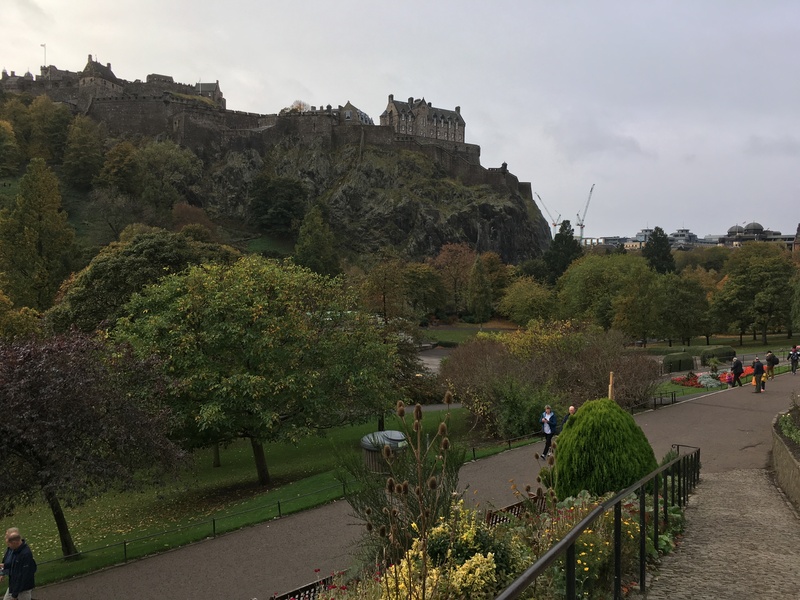 This palace and its grounds overlook Edinburgh and make up one end of the famous Royal Mile. 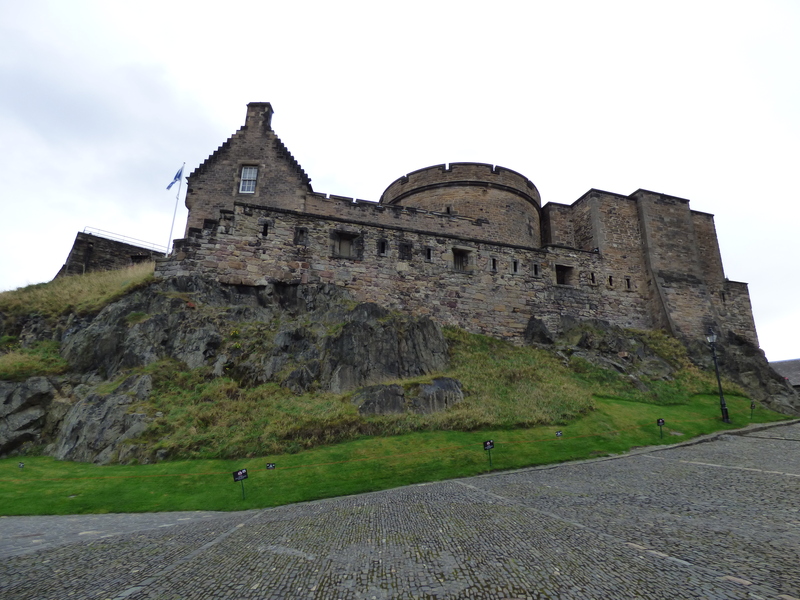 I walked along the Royal Mile up to the castle, then spent a couple of hours wandering around the grounds. 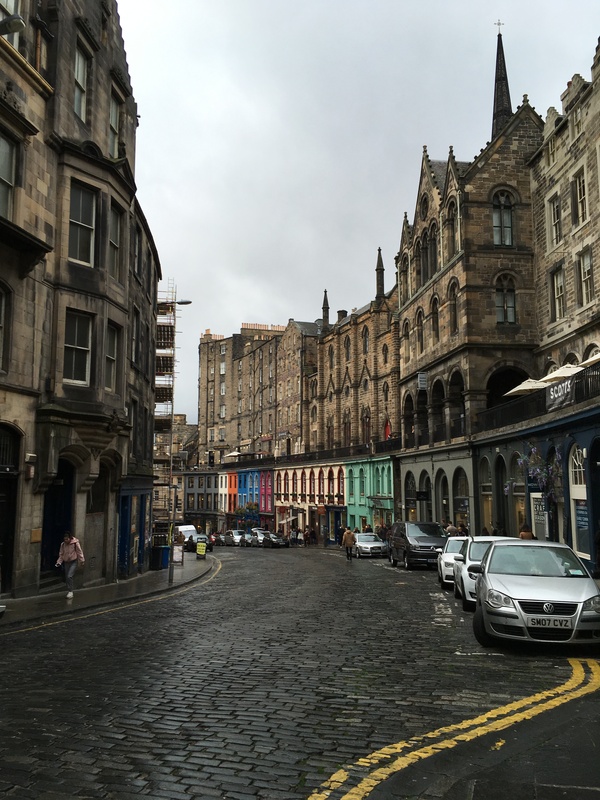 There is a lot to see here, including some of the oldest buildings in Edinburgh. The oldest part of the castle, St. Margaret’s Chapel, was built in the 1100s, while the newest parts were built in the 1900s. 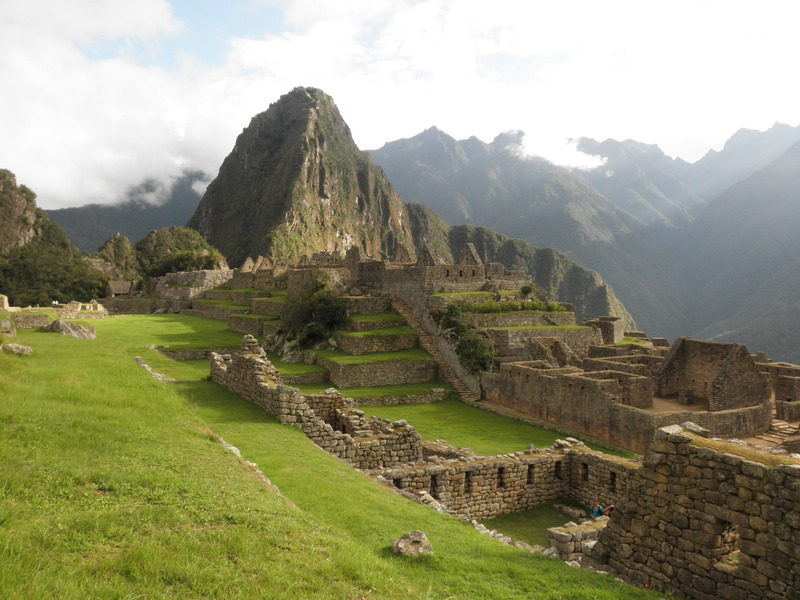 While definitely an interesting tourist attraction, it is also one of the most popular attractions, so it is usually very crowded. 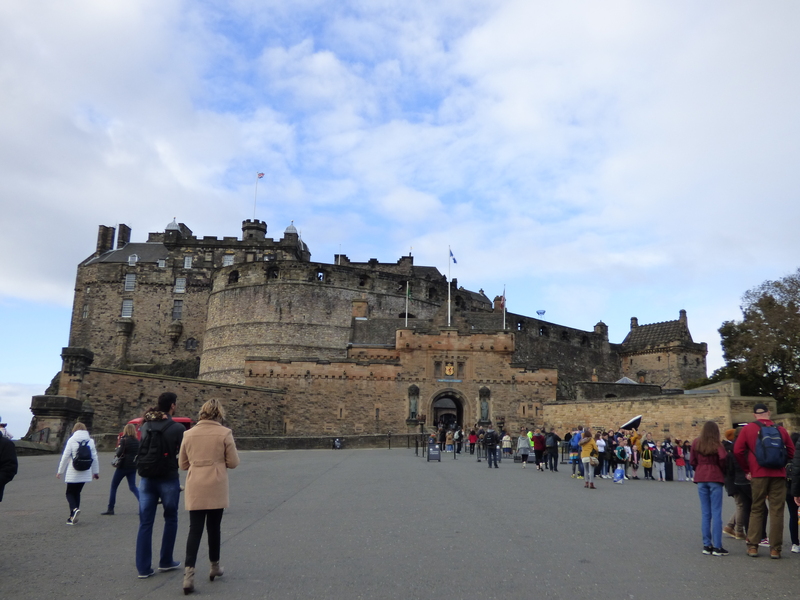 The main attraction, other than the castle itself, is the Crown Jewels of Scotland. These have been used in the coronation of several Scottish kings and queens and are really quite stunning, though you generally have to wait in line to see them. 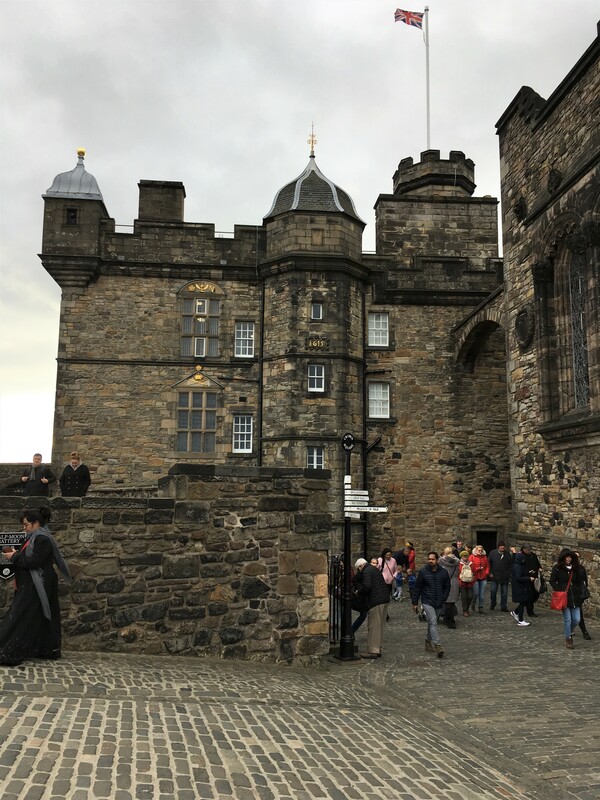 From Edinburgh Castle, I walked all the way down the Royal Mile to Holyrood Palace. 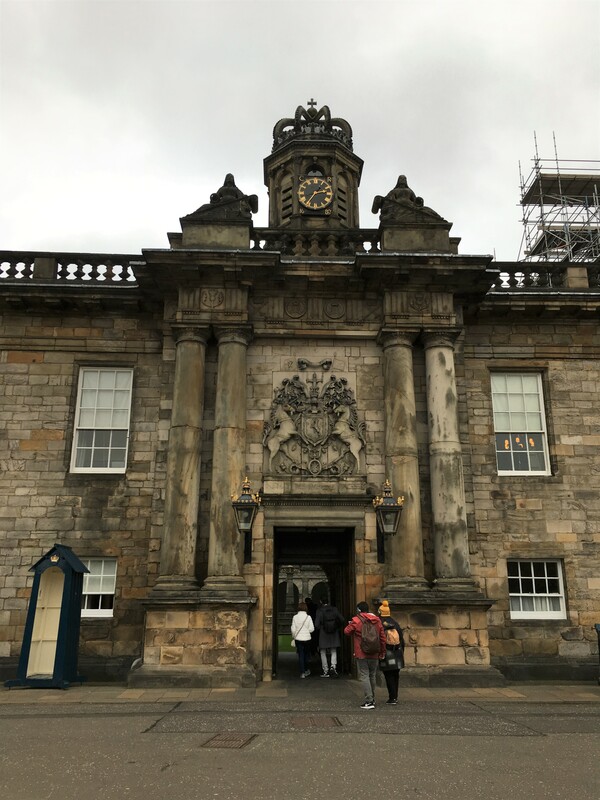 Holyrood Palace is the official residence of the queen of England and is open as a museum when she is not in residence. 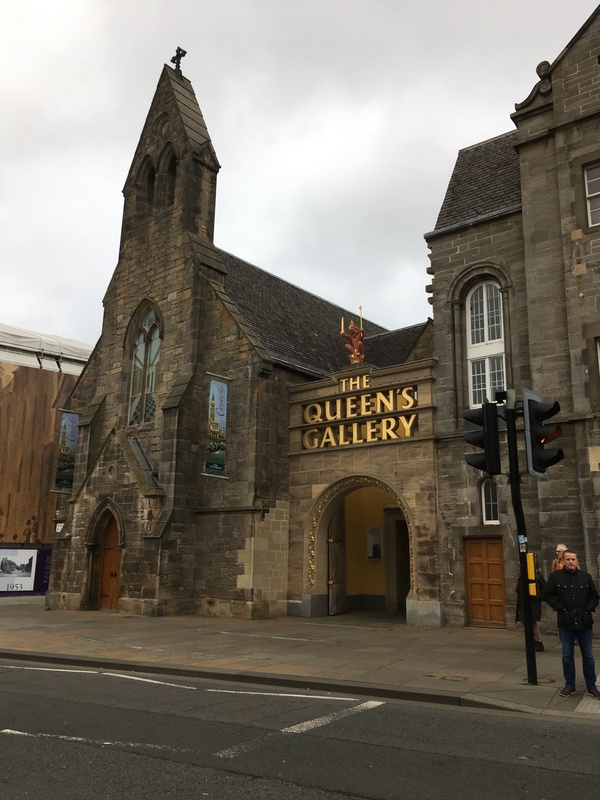 It’s a pretty palace and it’s definitely interesting to get a peek into the spaces the royal family uses when in Scotland. 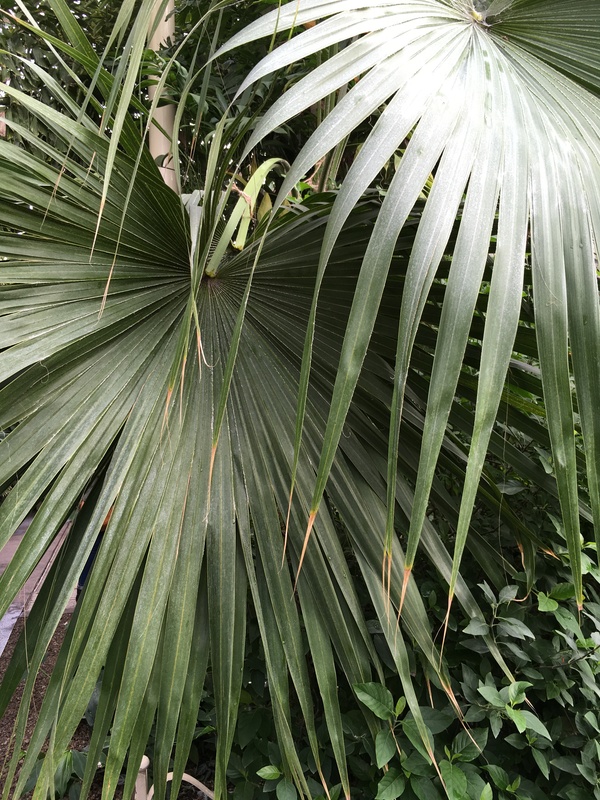 Photography is not allowed inside, but is allowed on the grounds and gardens. There are pretty abbey ruins in the gardens. 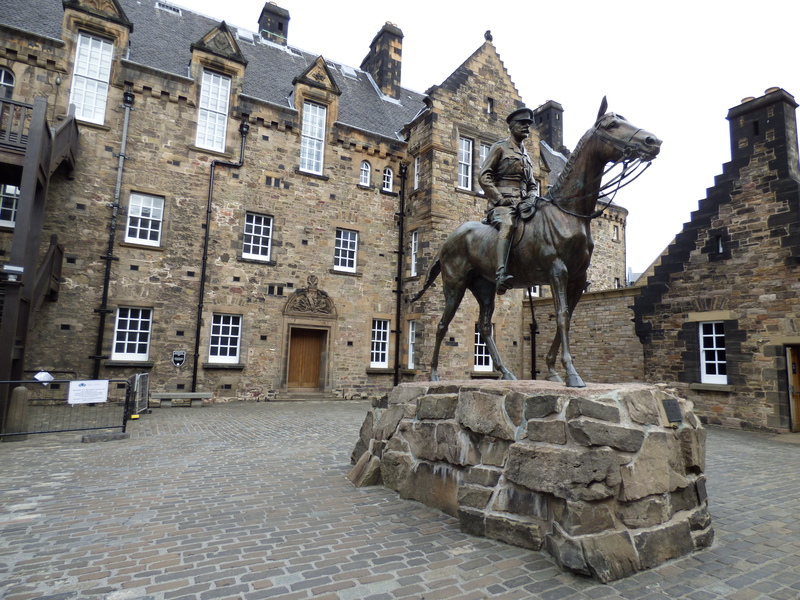 After visiting Holyrood Palace, I walked towards a couple of other tourist attractions: Greyfriar’s Bobby and Elephant House. These two attractions are close by one another in the Old Town. 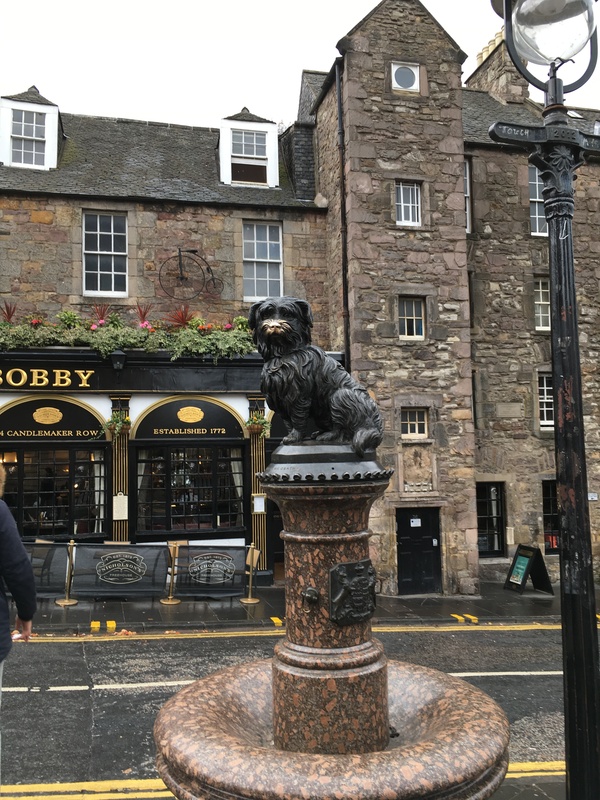 Greyfriar’s Bobby is a small statue outside a pub with the same name. In the 1800s, this dog became well-known in Edinburgh after he visited his owner’s grave every day for 14 years following his owner’s death. 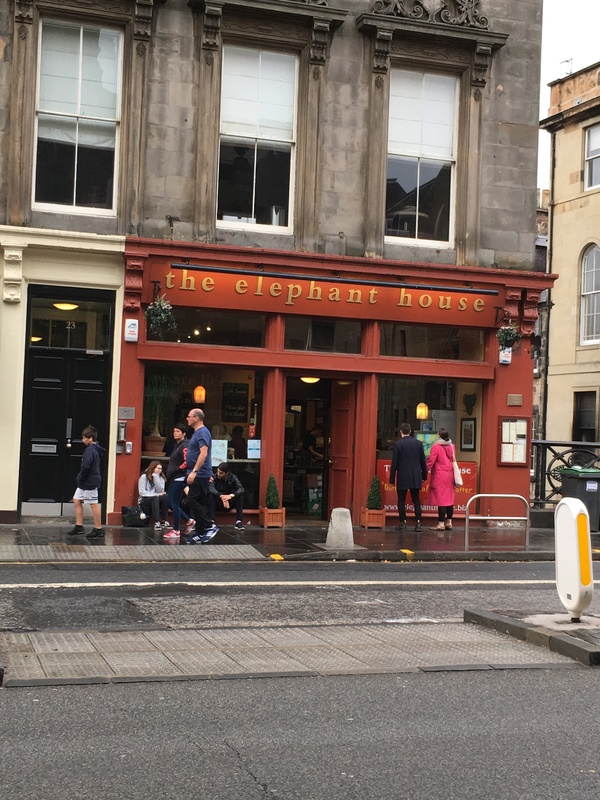 Elephant House is well-known because it is supposedly where J.K. Rowling wrote most of the first Harry Potter book. It’s a small cafe and generally very crowded. I didn’t go inside, but walked by it. 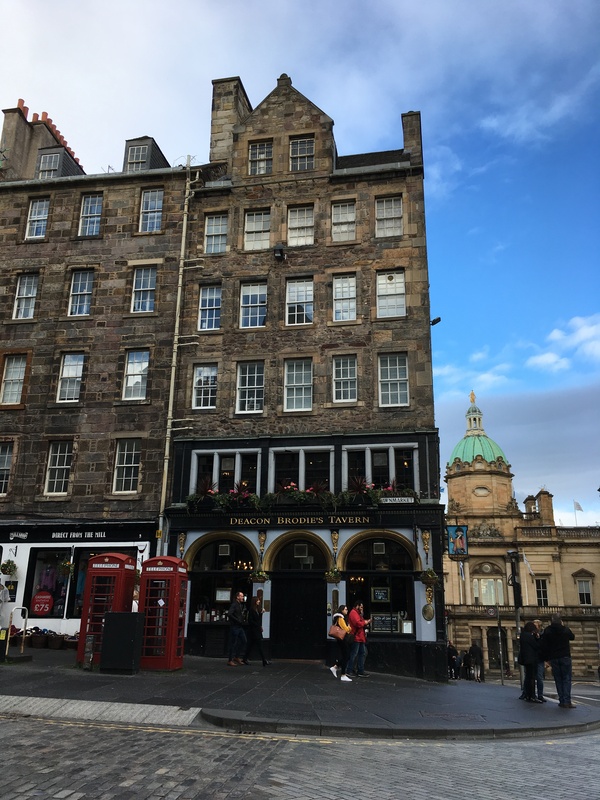 I also walked down two well-known streets in the Old Town: Candlemaker Row and Victoria Street. I spent the evening with some new friends from my hostel. We went to dinner together, then to a traditional Scottish pub for a drink before turning in for the night. The following morning I had an hour or so before I needed to be at the airport, so I joined a new friend from Germany for a walk to a farmer’s market. 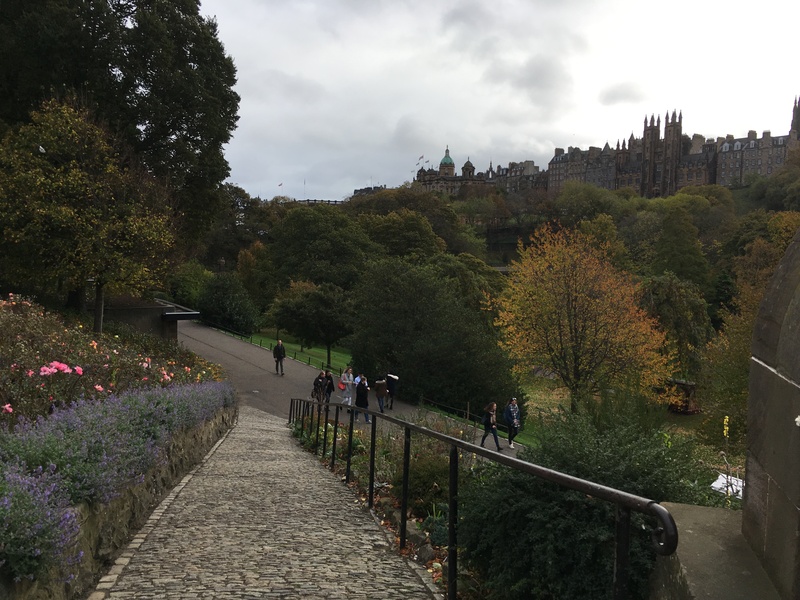 We walked through Princes Street Gardens and checked out the market, then I caught a bus to the airport to catch my flight to Dublin. 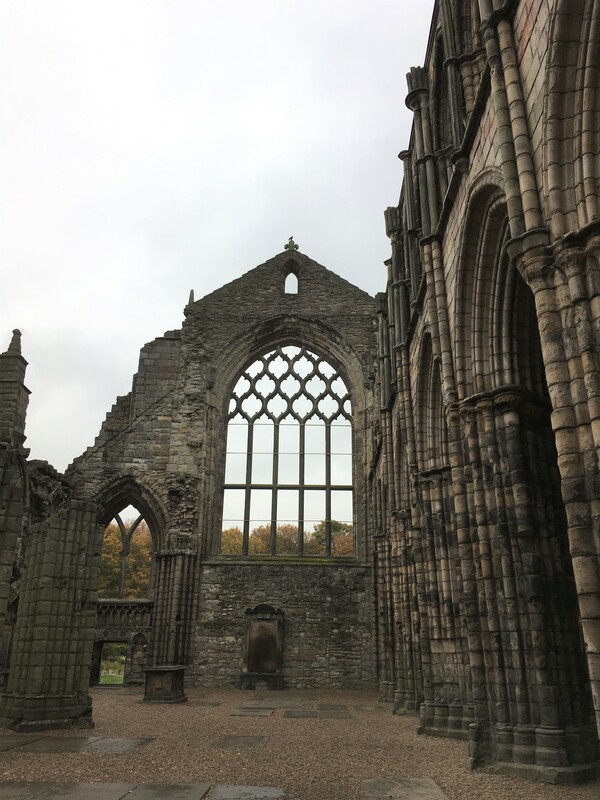 I’m so thankful for all that I got to see and do in Scotland, and I hope I can visit again sometime soon! On my next trip, I’d like to go to the islands and northern Highlands, but I just didn’t have time to do it all this trip.